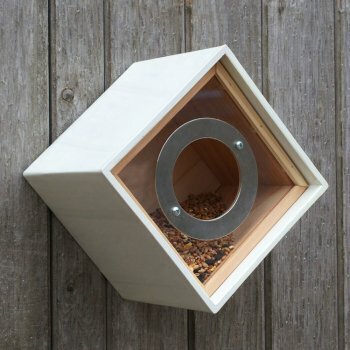 Ruddick Garden Gifts is delighted to bring you this contemporary bird feeder which has a sleek design and large round hole allowing small birds to enter the feeder. The outer shell of the bird feeder is made from Clayplas+ which is a composite material of clay and recycled plastics. This material is very durable and also has great environmental credentials due to the recycled element. 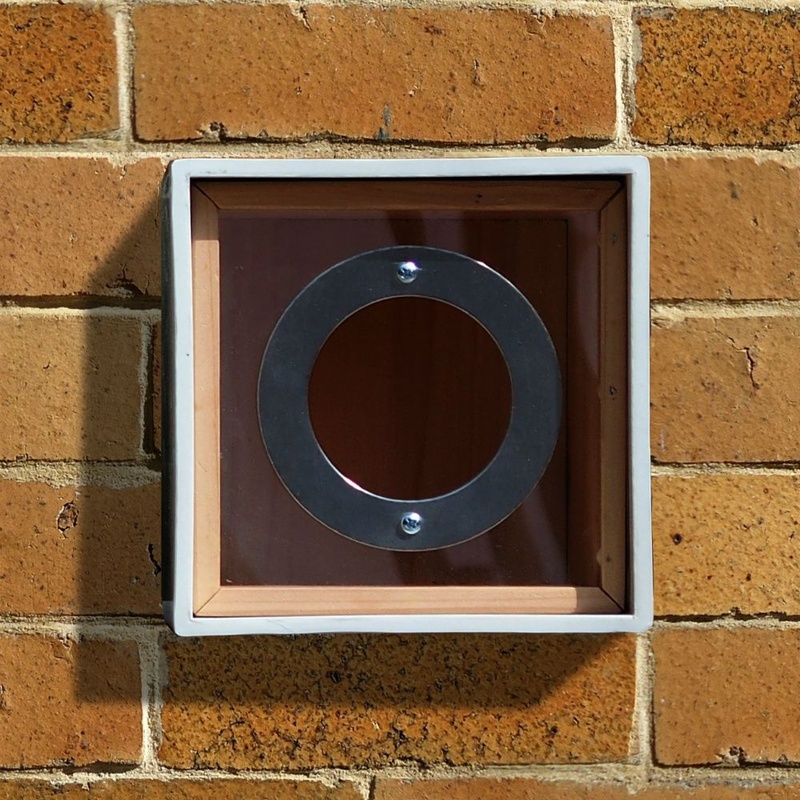 Each outer shell has dual keyhole hanging points to allow the bird feeder to be hung square on or as a diamond to suit. The interior of the feeder is made from sustainably sourced FSC timber with a clear perspex front panel with large stainless steel hole protector. This inner wooden box may be pulled out of the outer casing and the sliding perspex panel of the inner may be removed for cleaning and refilling. The Urban Bird Feeder is supplied with an additional perch which clips into the stainless steel ring.